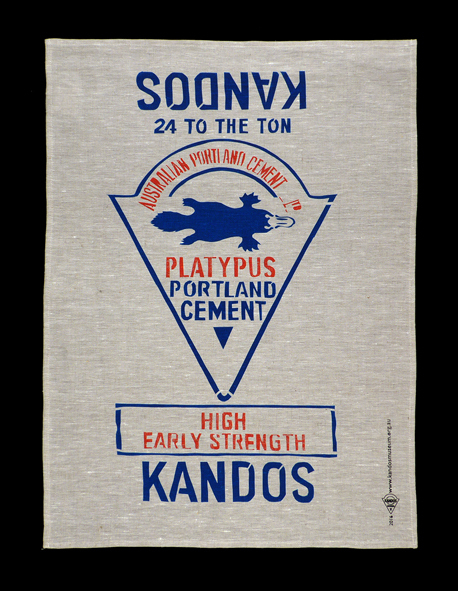 Printed on oatmeal pure linen. Also available in white pure linen. 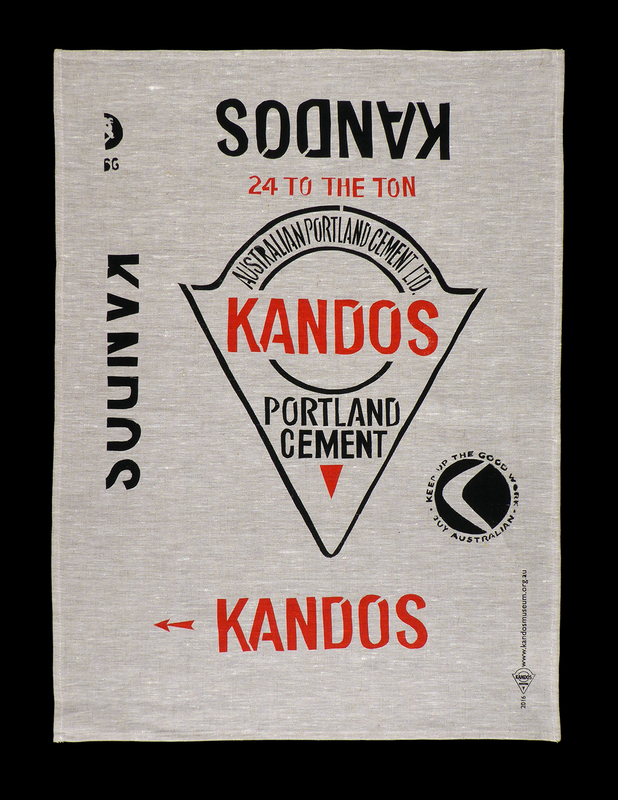 Design by Fiona MacDonald based on Kandos Portland Cement Co. packaging from Kandos Museum Collection. 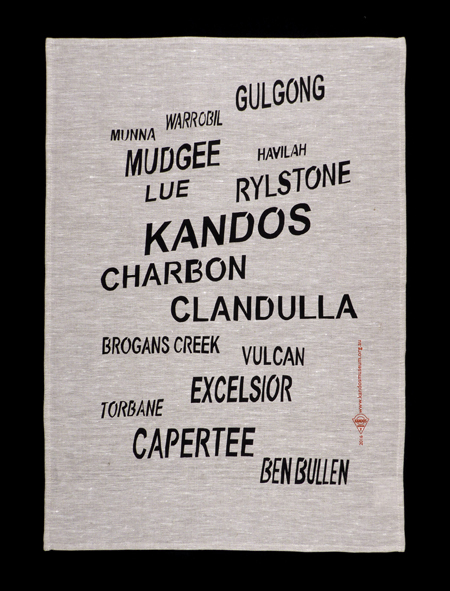 Printed on oatmeal pure linen at Kandos Museum from hand cut paper stencils.